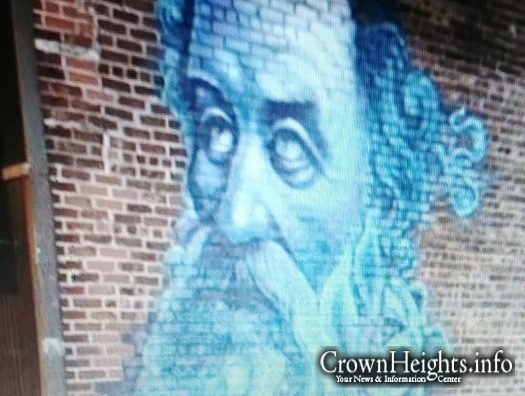 A mural of the Alter Rebbe was painted on alleyway in the heart Crown Heights. The work of art can be found on the exterior alleyway wall of Primo Hatters, on Kingston Ave between Crown St and Caroll St.
A controversy had grown in regards to whether these graffiti murals are something that should be allowed, following a similar painting on another Crown Heights alleyway wall. 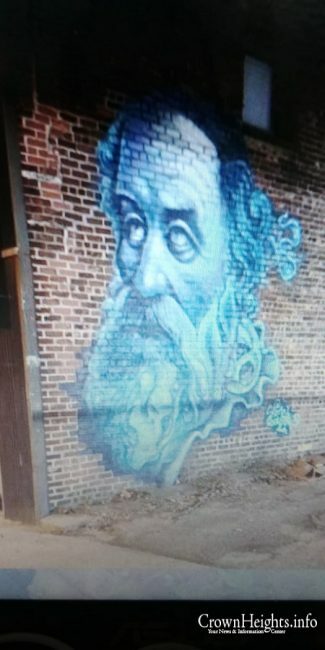 The last mural was of the Rebbe. Is this meant as disrespect for the Alter Rebbe? Just look up what the Rebbe responded when there was a suggestion to put a picture of the Alter Rebbe on a postage stamp. Alleyways are where Garbage is left! A holy picture doesn’t belong there!!!!! Postage stamps get ink stamped and often torn/discarded. An alley is not necessarily disrespectful. People also have garbage in their homes, and there are garbage cans even in 770. There is also the concept of dira b’tachtonim. So clean up the garbage there…see how this works? This is an AMAZING WORK OF ART! Photos key chains & portraits sold with the Rebbe’s image is Far more Disrespectful than this. If it’s not so clear, why don’t you talk to someone that can make it clear to you (sooner rather than later). What do garbage cans have to do with anything? Would you host anyone in an alleyway? And regarding Dira B’Tachtonim…. 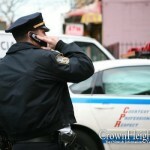 talk to a Rabbi/Mashpia. Following your logic you would want to put divrei kedusha in all bathrooms (r”l), and maybe even have it printed on your underwear. Think before you write! 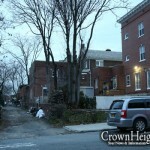 perhaps we can avoid the i think it is ok i think its not ok.
perhaps a crown heights rov should be asked the shaala being it is a communal matter. Great to see artwork like this in the streets of Crown Heights. As we walked by on Shabbos, my son shouted in excitement: The Alter Rebbe is HUGE! Well done!